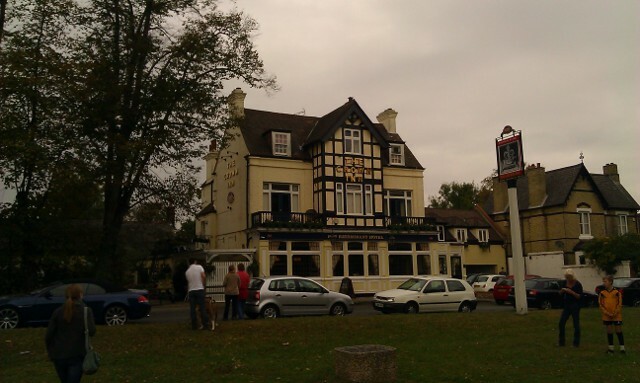 After having such an enjoyable time with Sunday lunch at The Bickley, we decided to review a pub a bit further into Chislehurst village. The Crown Inn is a pub I have been to many times over the years, from being a child with various parties for older members of the family, to Christmas family gatherings. So, knowing a little bit of what to expect, at least the layout of the pub / restaurant, I gave them a call and booked a table for four (my Grandparents were more than happy to join us for Sunday lunch :-)). Claire and I decided to walk from our flat, and ‘explored the area’ (meaning we got lost), so had to give a call to The Crown Inn and let them know we would be late, ‘No problem, see you then’. We arrived just before 1315. As we were waiting for my Grandparents to arrive, Claire and I ordered drinks at the bar, a Asahi lager and red wine for Claire. A TV was on showing a football match, which did mean it was quite loud in the bar. A couple of minutes later, my Grandparents arrived for Sunday dinner. We ordered some extra drinks and then moved to the restaurant area. We were met by a lady at the entrance, who showed us to our table – a large round table near the kitchen doors in the middle of the room. We were given a menu each. After a bit of deliberation, my Grandfather (GF) and I went for the Roast Lamb, Claire and my Grandmother (GM) went for the Roast Beef. Whilst waiting for our food, we did try having a conversation, but the noise from the TV / people watching football made it extremely awkward. We all had thick slices of meat, in my opinion it was a bit dry and perhaps overcooked but edible enough. The potatoes were nice and crunchy, and fluffy in the middle (just how I like them). The broccoli, cauliflower, red cabbage (first time I have tried it) and swede were also ok. Unfortunately, the gravy was a bit powdery, which put me off. 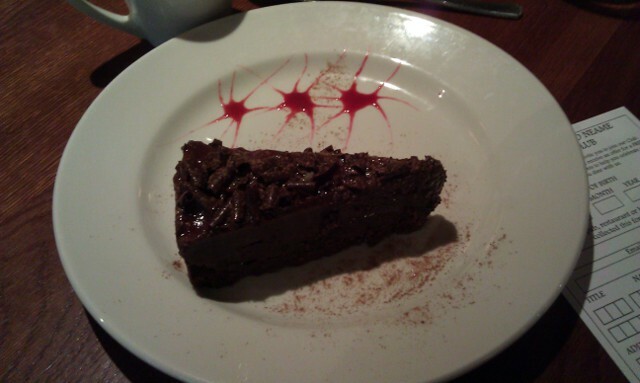 A couple of minutes later, out came the desserts. As you can see, Claire’s and my desserts were presented well (and tasted nice! ), but GF’s came out with a pot of cream, ice cream and custard :-) Now, that’s a nice touch! Everything was going ok, The Crown Inn were coming to a 3.5 or even a 4 due to how little it cost, but upon leaving I had to use the toilet, which was in a sorry state (very bad mould above the urinary cistern). But, worse than that was the CCTV in the toilets! They do have a sign about ‘illegal activity not tolerated and they have CCTV everywhere (even in the toilet)’. Surely there are better ways to deal with these kinds of issues? 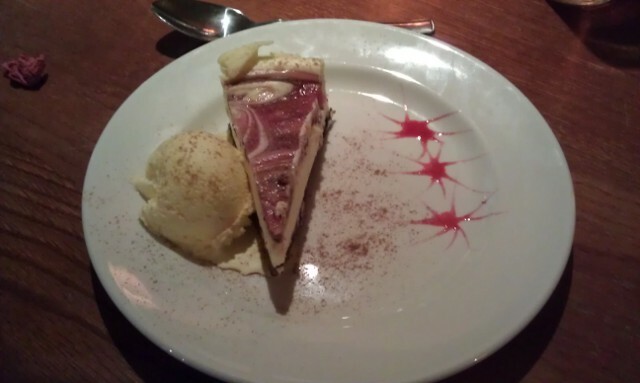 This, coupled with the fact that we all noticed a strong fish smell from the kitchen that bothered us through dessert, meant it would get marked down. So, overall, The Crown Inn is quite a nice venue. The service is fantastic, someone was always on hand if we needed anything and being offered extra gravy without asking was a nice touch. 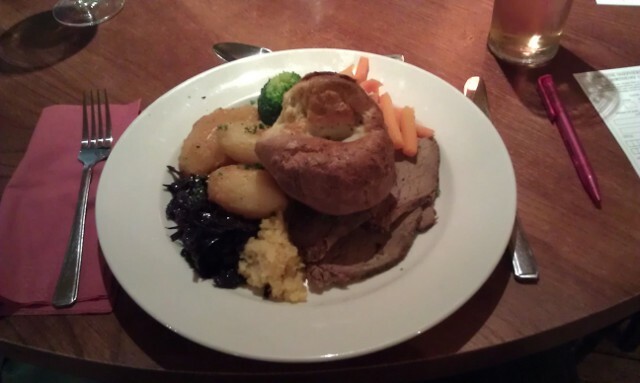 The Sunday Roast was ok, there was a lot of food; the desserts were good in both choice and flavour. The price was also quite good too. The noise from the TV / bar area, smell from the kitchen, and the state of the toilets with CCTV does mean this pub / restaurant doesn’t get the marks the staff and Sunday lunch deserve. This is a big shame, as if The Crown Inn just sorted these issues, then it would be a place to visit. As it stands, The Crown Inn scores a respectable 3 plates.